Messy clean-up jobs like washing muddy boots or cleaning paintbrushes are unavoidable, but we doubt anyone actually enjoys them. 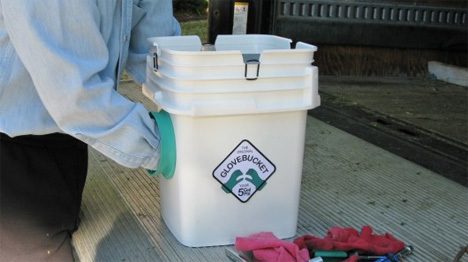 The Glovebucket is a kind of genius invention that keeps you from getting messy as you clean things up. The bucket looks a bit like the safety chambers that are used to manipulate dangerous materials. 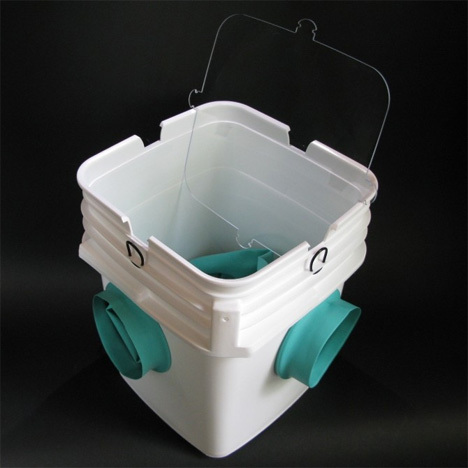 Twin openings in the side are attached to gloves on the inside of the bucket. 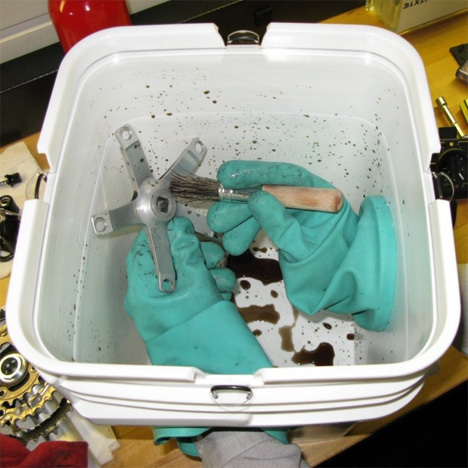 Your hands fit into the gloves, making it possible for you to manipulate whatever is in the bucket without actually touching it. The idea is that you put some water and cleaning solution into the bucket along with a brush or some other cleaning tool and the soiled items. Reach your hands through the gloves and dunk, scrub and rinse without getting your hands or your clothes dirty.